“You definitely need a strong position to succeed. The more symmetrical you are, the better your horse can hear you and the more comfortable you’ll both be in your own bodies." 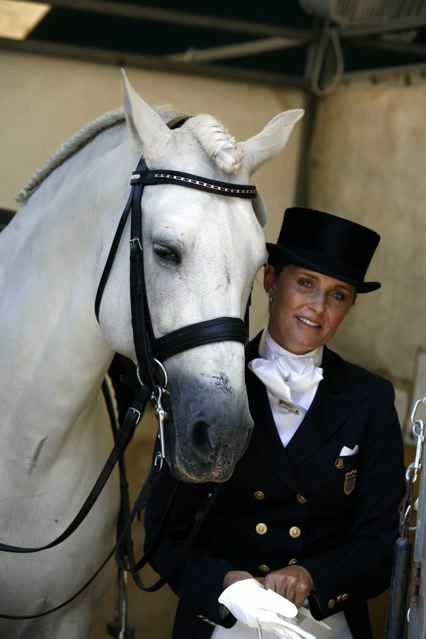 Kristina offers dressage training for all levels of riders and horses. She loves to teach as much as she loves to ride, and clients thrive in a supportive, positive environment where the footing is excellent and the horses always come first. For pricing and more information on available openings on the KHD Team, please contact us. Kristina teaches clinics around the world for riders of all levels. As with her students in full training, each rider and horse are given individual attention so that the experience leads to greater understanding and a more harmonious partnership. For information on upcoming clinics, please see our events page. For information on booking Kristina for a clinic, please contact us. Kristina trains horses horses of levels up to and including Grand Prix. She designs programs to accommodate the style, personality and happiness of each of her four-legged athletes. The focus of each program is to encourage softness while developing the natural strength of the horse. It is a harmonious rhythm that is developed with great patience, care and attention. Contact us for more information about training services and available openings.